How can I generate a Word Document with ivy? WebPage elements in your Process can be linked with an RTF document that is stored in the webContent folder. This document can be easily designed with MS Word or any office tool you like and must be stored in *.RTF format. This document can contain ivy macro expressions (JSP like). The expressions will be evaluated at runtime and can for instance display your process data in a serial letter. 2. 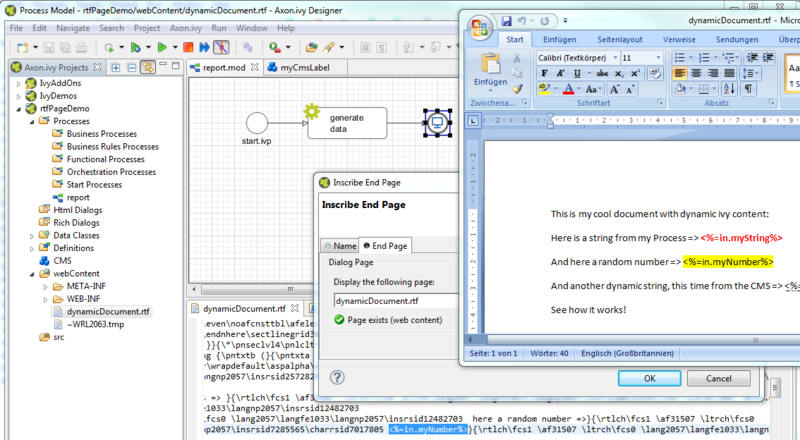 Office Document generation with Aspose Aspose lets you programatically create office documents. A licensed version is packed with ivyAddOns. The RichDialogDemos project which is shipped with the Designer [designer]/applications/samples/RichDialogDemos shows a usage example. 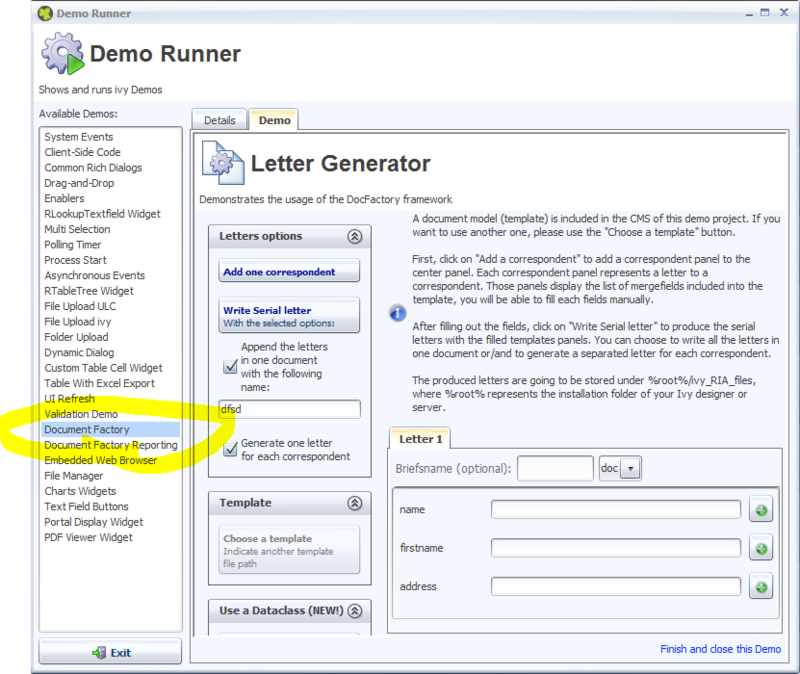 The relevant Demo is called "Document Factory"
3. 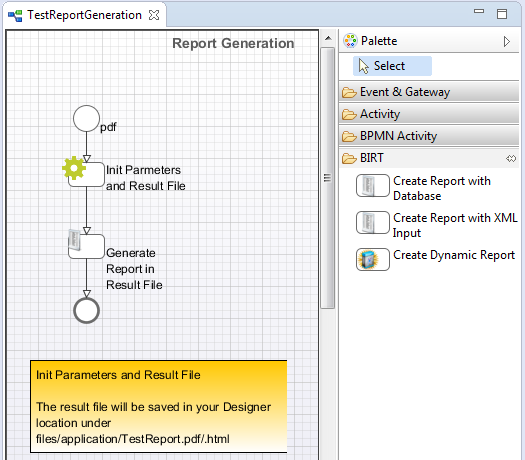 PDF/DOC/HTML generation with BIRT A community extension allows generation of documents with BIRT. The extension as well as the reporting technology is open source. The project is hosted on github. 4. Office Document generation with Apache POI An open source library to read and create office documents: POI Project website. 5. JSF Datatable export with Primefaces Datatables in Html Dialogs can be exported to Word,PDF or Excel Documents with the Primefaces DataExporter. Apache POI is working behind the scene to do that job. What is your experience with Word Document generation in ivy? ratings of these methods, field reports or demo projects are welcome! How does the expression evaluation during runtime (first example) work? How can I provide the output file as download in JSF / Primefaces (p:fileDownload - StreamedContent)? The expression evaluation takes all data which is available on the process variable (in) and expands it's value as string. 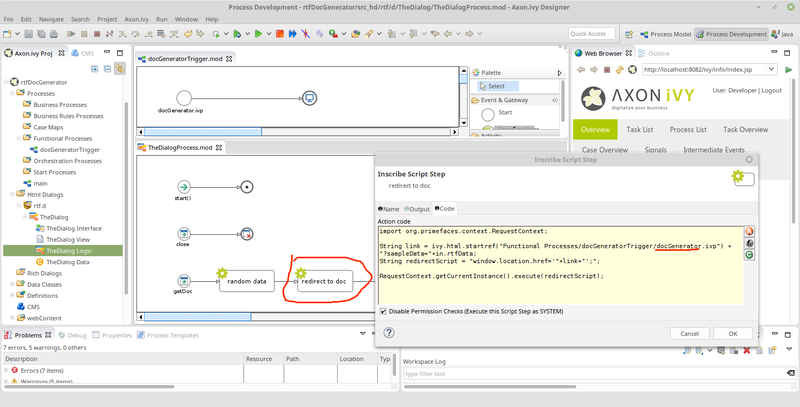 How to use process data in a if in a JSP file? Replacement for navigation nodes in Ivy 4.x HTML web pages?